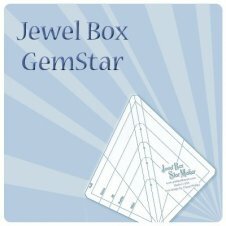 Jewel Box Gem Star is a great tool. You can make an alternative pentagon from the Gem 5 and see how cool that would be if you mixed it into a Jewel Box design. Now you can get to playing!! But if you want a really fun project, you need to play with my favorite part... Making Stars. Check out the video on how to make these great stars! What can you do with these stars? So many things! What can you come up with?